Hi, there! 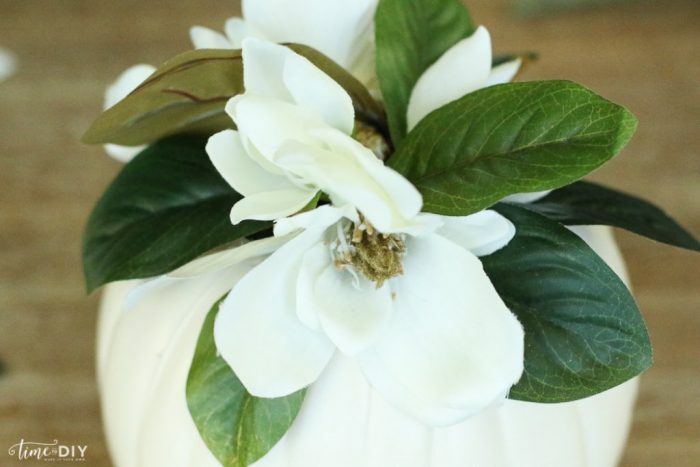 Debby from Time to DIY back again to share a tutorial for an easy DIY faux magnolia pumpkin. 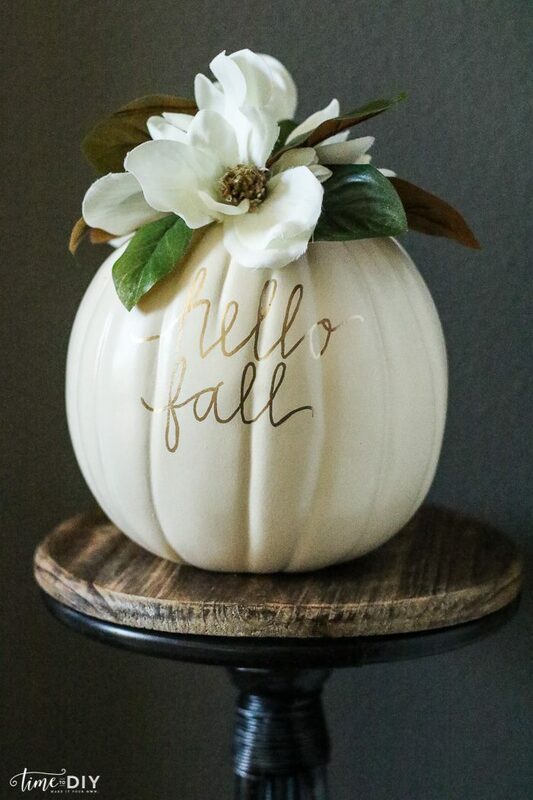 Even though our temps aren’t feeling like fall yet, I’ve been adding some simple fall touches throughout our home to make it a little more cozy, and this magnolia pumpkin is one of my favorites because it’s neutral and so versatile. 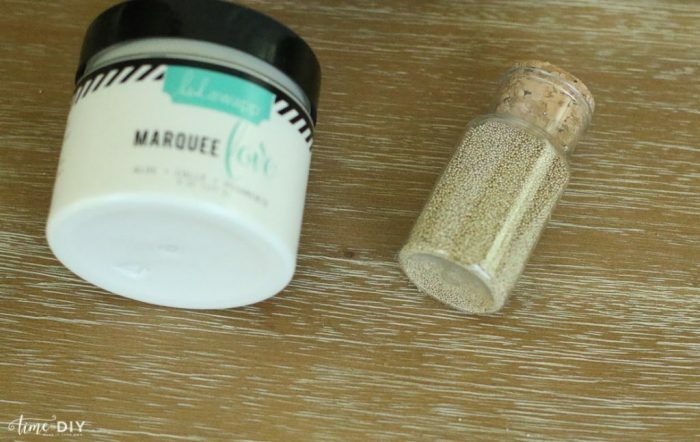 Read on to see how easy it is to add a little flair! 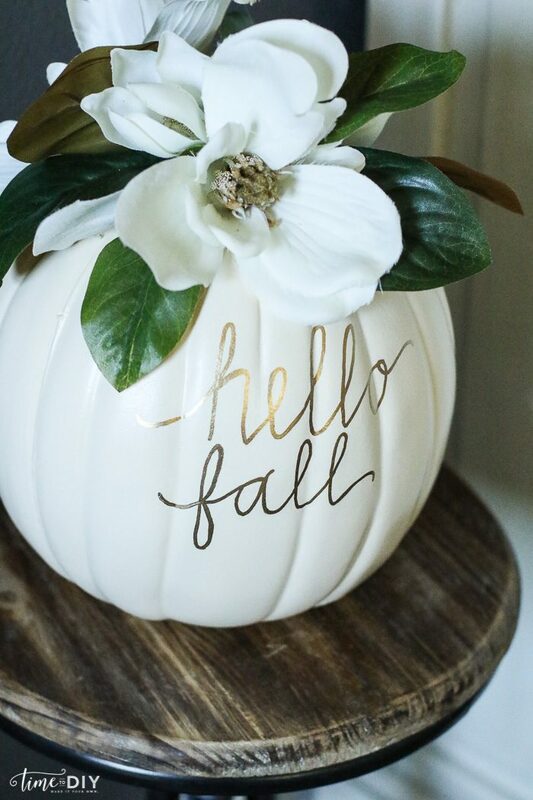 The first step is to add the magnolia leaves and blooms to the top of the pumpkin. Pull off the flowers and leaves from the stem, arrange them like a bouquet and then hot glue. I used four flowers: two medium sized and two smaller, and arranged them before glueing to see if they fit. I glued the flowers first, and then arranged and glued the leaves in between the flowers. Some of the leaves got a little unwieldy, but I just used the hot glue to make them stay where I wanted. 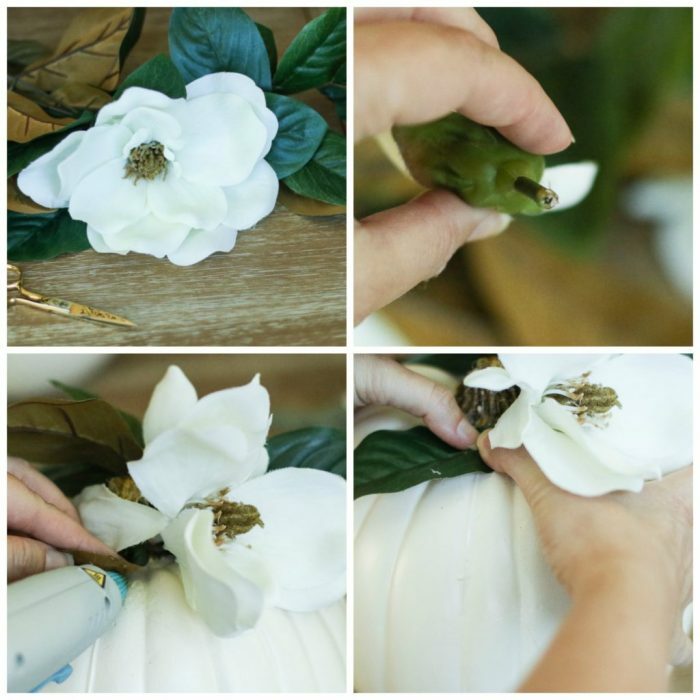 I like using hot glue because then the flowers can be easily removed and the glue peeled off the pumpkin if I ever want to switch it up. I got these beads in a glitter pack at Michaels and I added them to the middle of the flowers with some glue paste. It covers up the plastic in the center as well, which is nice. Another option is to add some hand lettering. Since I’m a novice at hand lettering, I first googled it to get some ideas, and then I practiced on paper. Then I used pencil on the pumpkin (I recommend a Magic Eraser for erasing because a regular eraser leaves some residue). Finally, I used a thin metallic gold paint pen to fill it in, and then finished it with a second coat. I made it reversible and added ‘give thanks’ on the other side. 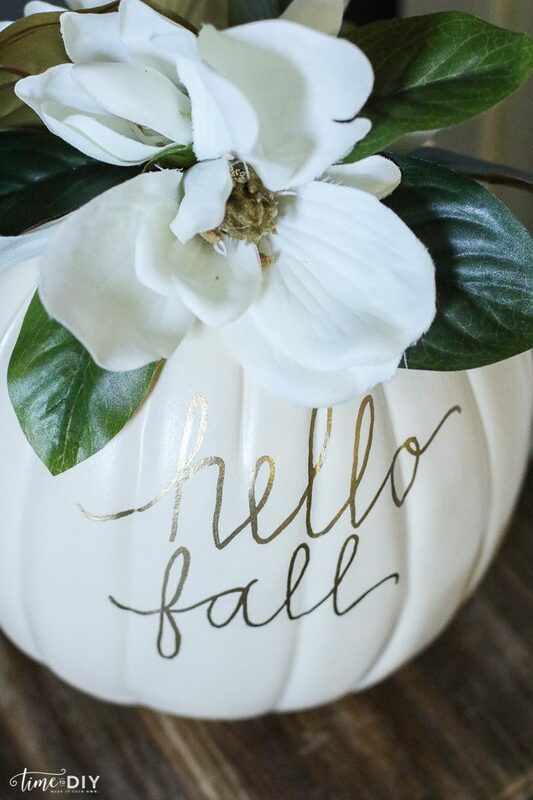 I will use ‘hello fall” for early fall and then flip it to ‘give thanks” as we get closer to Thanksgiving. And it will make a perfect table centerpiece for Thanksgiving as well. 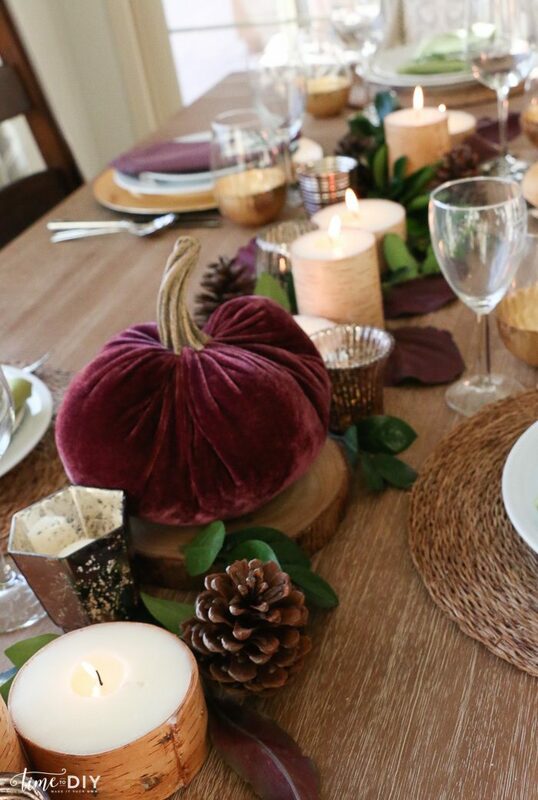 or my Thanksgiving tablescape from last year. Follow me over at Time to DIY or on Facebook | Instagram | Twitter for more DIY home decor ideas. Hope you have a wonderful day! I am not at all big on Halloween, at all. 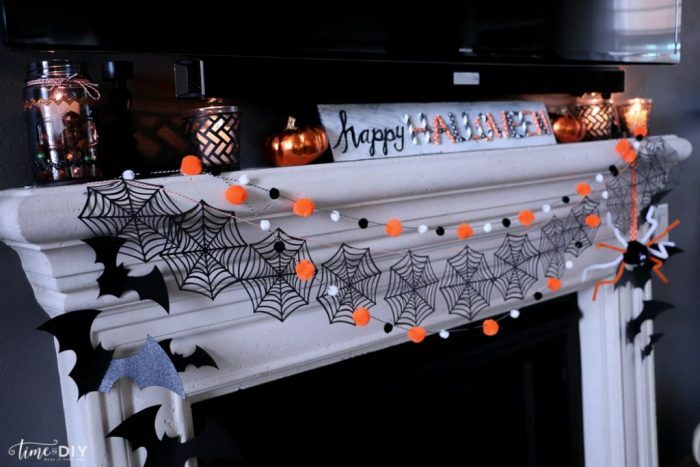 This is adorable and practical and Michaels has a trillion shapes, colors, and designs of their fake pumpkin line to try. Thank you for sharing this. We totally agree, Brittany! Deb’s style is the best, right?! 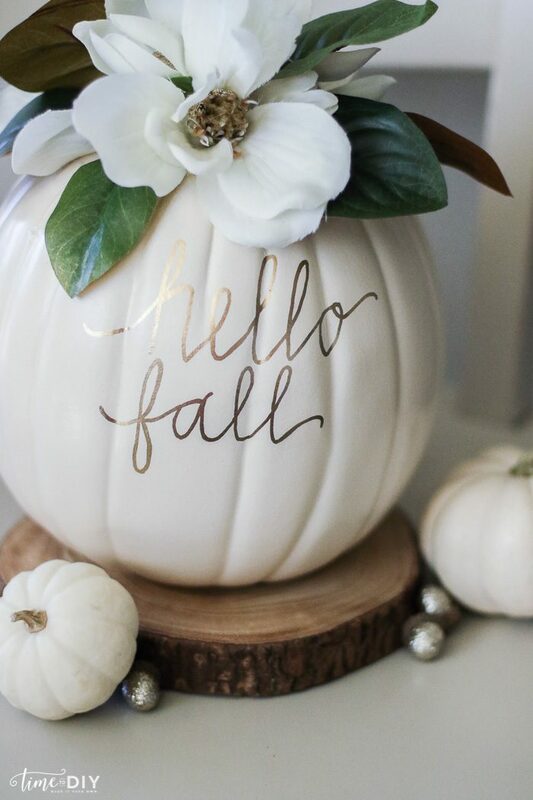 Love your white pumpkin decorations! Thank you for sharing! Happy Fall! Thanks, Becky!! We love them too! This is beautiful! 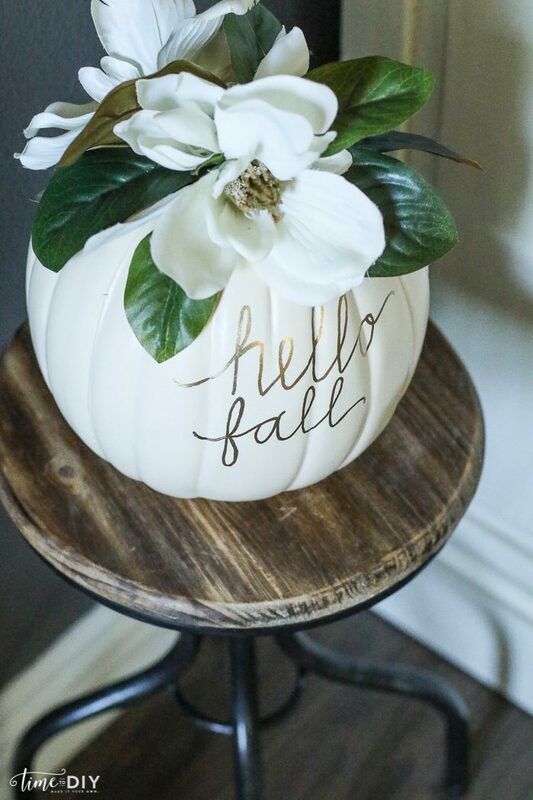 I am loving painted pumpkins like this. They go great with my home decor but still add a touch of Fall. Thanks for joining us for the Wednesday Showcase this week! I love your decorations. I love the colors of fall. Thank you for sharing at What’d You Do This Weekend. What a beautiful, creative idea. It turned out really cute!! I made a boo pumpkin last year. 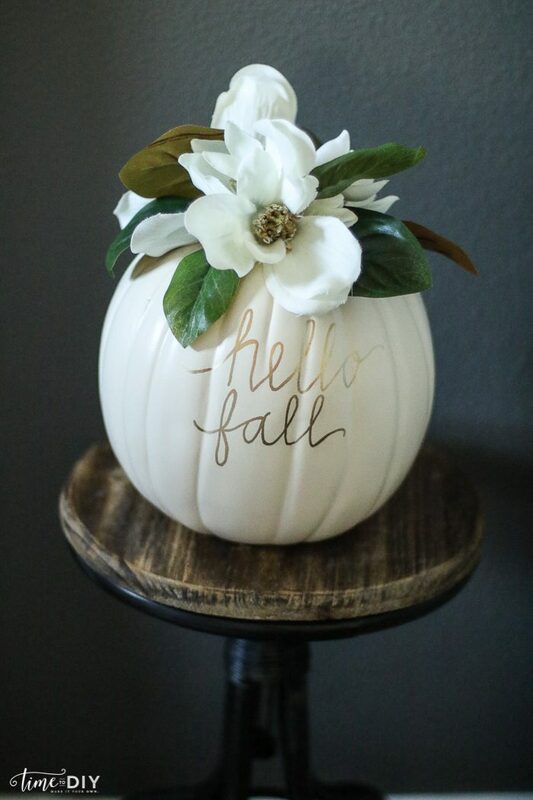 I need to spin it around and make a magnolia pumpkin. So pretty. Thanks for sharing at the #InspirationSpotlight Pinned & shared. 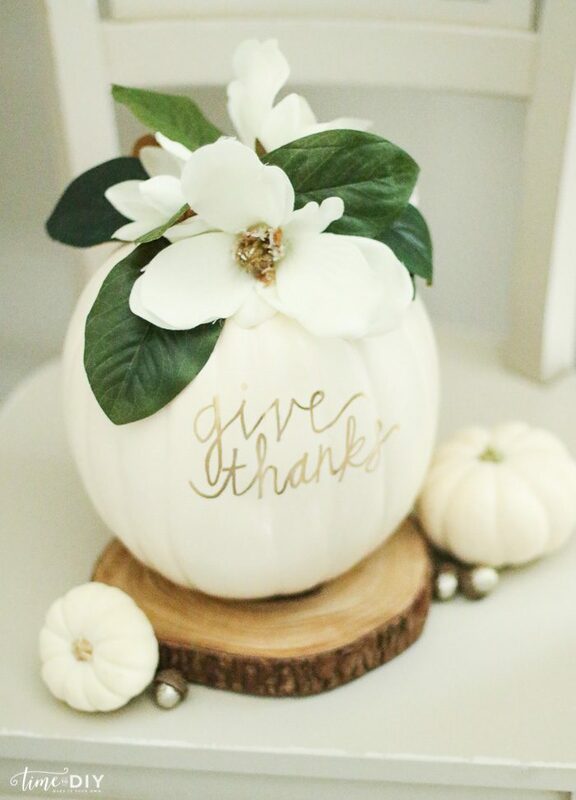 Love this magnolia idea! And that it’s reversible. =) So pretty! 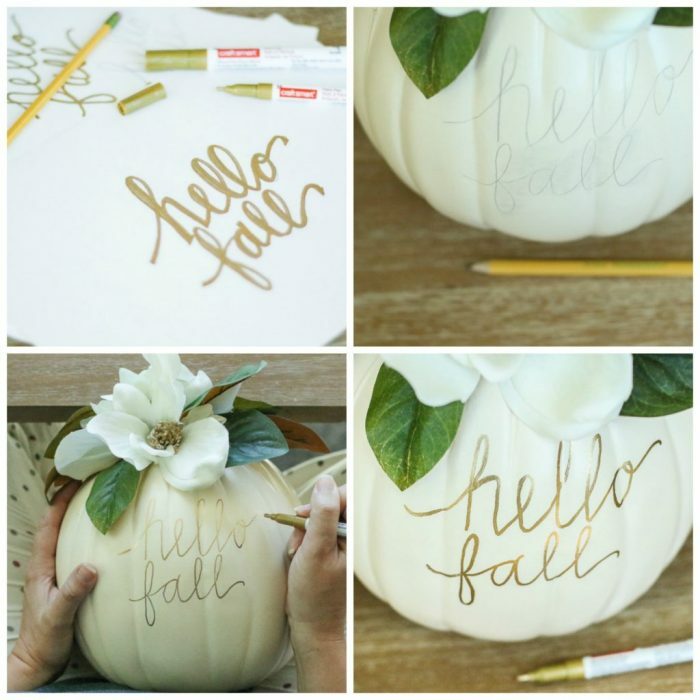 What a great Fall idea! Love it! Aww…I love this! SO pretty! 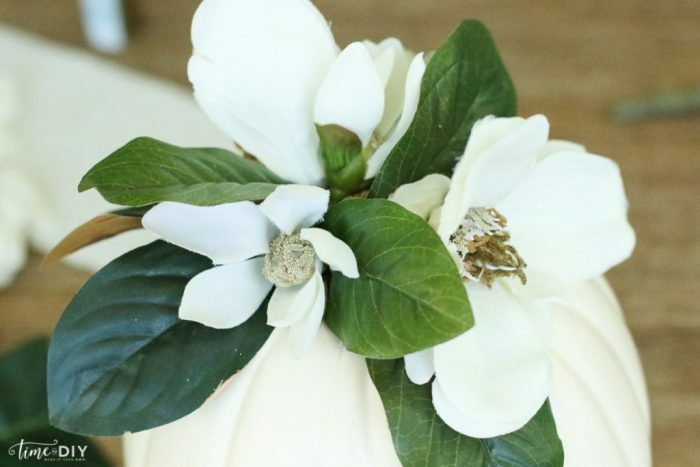 The magnolia looks so pretty on the pumpkin. 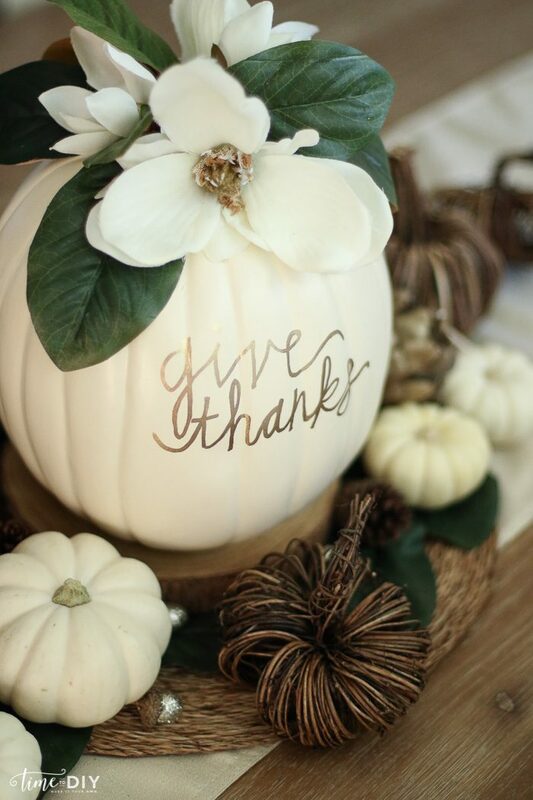 I love white pumpkin decor ideas. 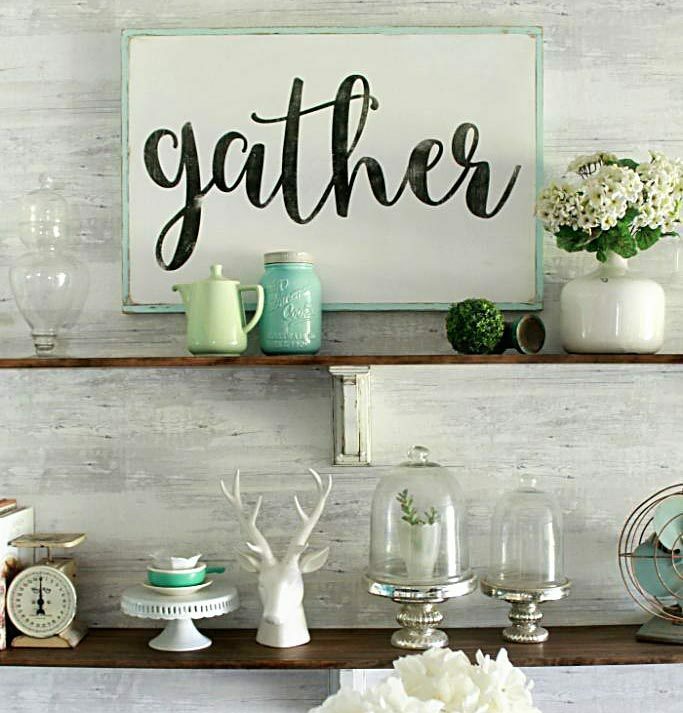 Thank you for linking up at the #HomeMattersParty this week. Very pretty. 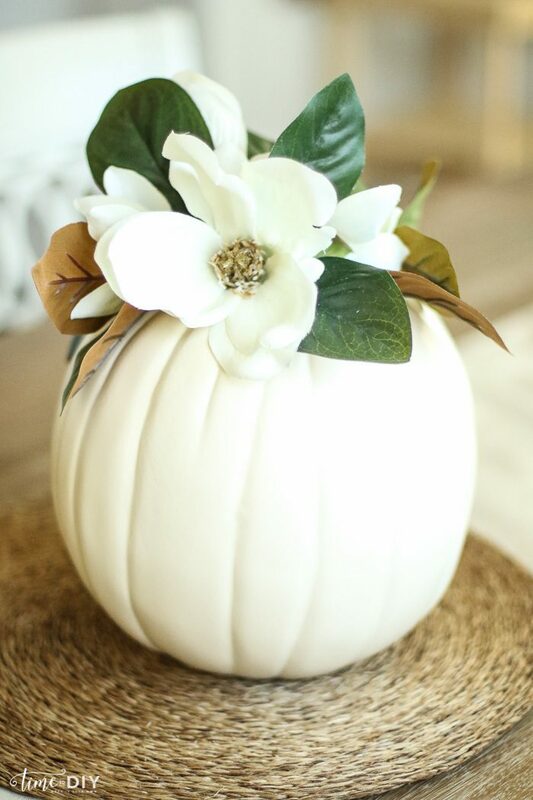 I love the magnolia with the white pumpkin. Thanks for the idea. Thanks for linking up with us at Family Joy Blog Link Up Party this week too! Very pretty combination – these would look amazing at a fall wedding. Great eye for simple details. Love it! We love it too, Carole! 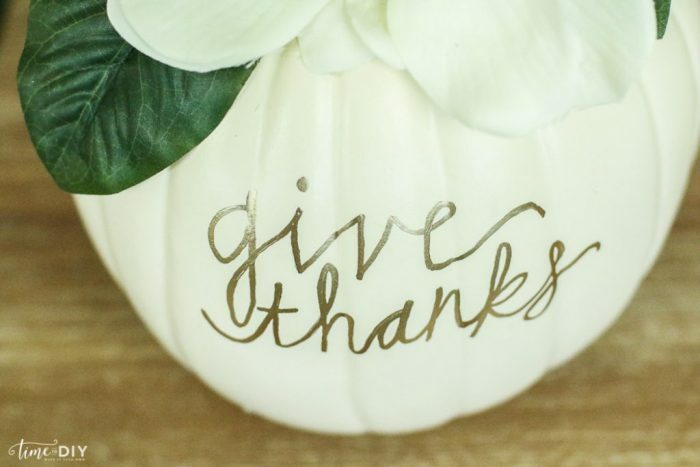 I love the “give thanks” pupmkin! Thanks for sharing at Home Sweet Home! love e it! 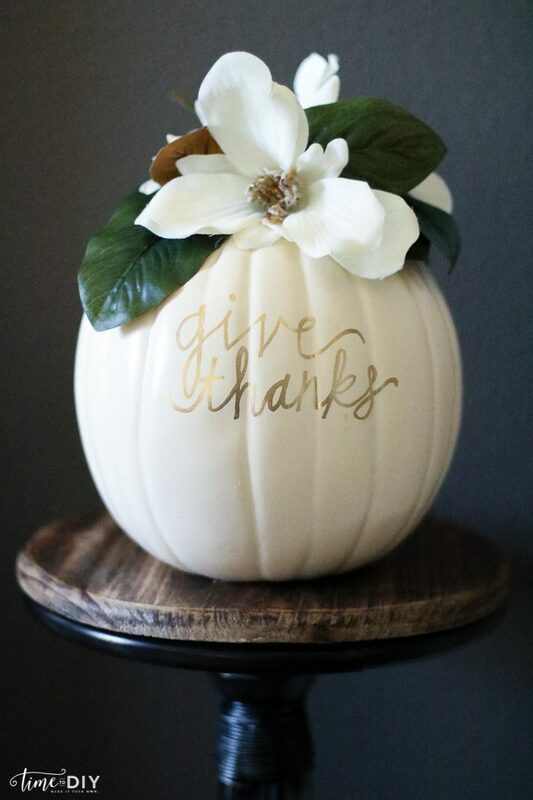 the combo of pumpkin and magnolia is gorgeous! thanks for sharing on craft schooling Sunday! I love this!!! 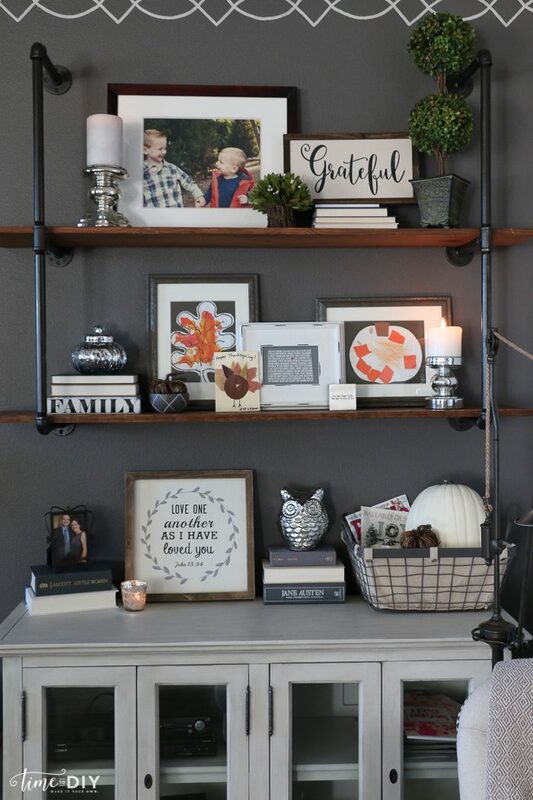 I’d have to keep this in the house all the time instead of just for fall! One of my favorite fall pumpkins this year! I will feature it today at Home Sweet Home! 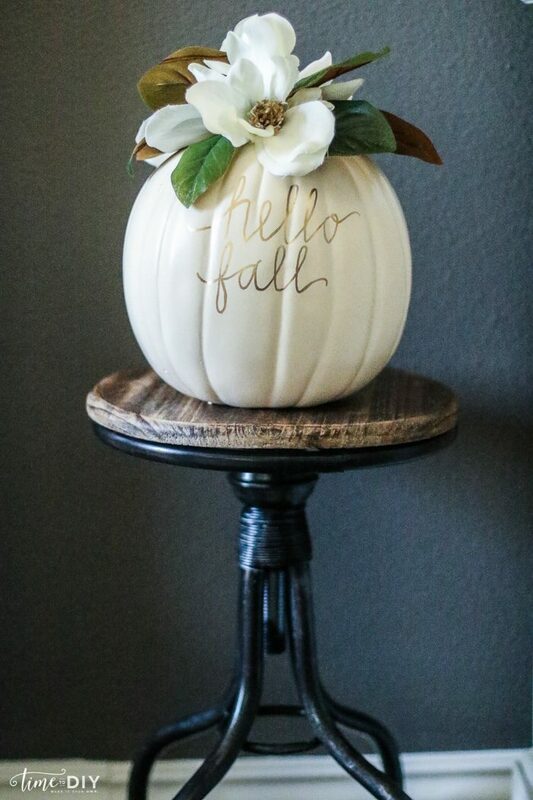 I think your ‘hello fall’ white pumpkin is probably this best idea I have seen thus far on the net (and I have seen many beautiful examples of various pumpkins). Your example is so tasteful and elegant and perfect with any decor style. I think it would also work well without any words through the entire winter holidays. Love it! Thanks so much, Rosalie! We love Debby’s pumpkins too! GORGEOUS! So elegant and something that can stay out through Thanksgiving. Love it. Featuring when my link party opens up tonight. Love your beautiful pumpkins! The magnolia flowers is exactly what I have been looking for this year. Thanks for sharing! Happy Fall and Blessed Thanksgiving! Deb is so creative, we love them too!